The Founders Club at Pawleys Island is one of the newest golf courses along the Grand Strand. Architect Thomas Walker created the contrasting landscape by using waste bunkers and elevated fairways. Players beware...strategically placed pins deem this course as an unforgettable game. Unlike any other Myrtle Beach golf course, the Founders Club setting is world class and enveloped with a modern design of all natural landscaping. A perfect combination of Emerald and 419 Bermuda grass creates a stunning visual experience on the greens and fairways by providing just the right balance of color and smoothness. The Founders Club is a "must-play" in spite of the ingeniously placed bunkers and named "Golf Course of the Year" by the Myrtle Beach Area Golf Course Owners Association in 2011. As you plan your next golf trip to South Carolina, include the Founders Club to your list. This club offers an excellent additional to any getaway golf package and tee times fill up quickly. When you finish your round, be sure to head over to the Low-country style clubhouse where you can indulge in a cold beverage while overlooking the 18th-green. 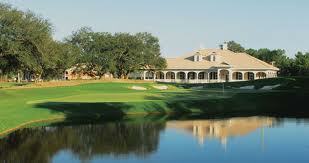 Founders Club is located just south of Myrtle Beach in Pawleys Island, South Carolina. You were is always a treat to play. Seems to always be in the best shape. A challenge to play without any "stupid" holes. I love the lack of cart paths, driving on the waste areas. This course is ok. With it being the farthest course to the south for most golf packages its only worth playing if you are staying in Pawleys Island. Course conditions were good but not great. It's a middle of the road course for the Grand Strand. Many of the holes have waste areas on the side of the fairways. Greens were in good shape. DONT GOLF HERE. This course was the slowest course I have ever played. The greens are absolutely terrible and we are visiting during season this course also has terrible fairways and the people are rude. I would avoid this course at all cost. All founders club courses are 16 and under golf free with a paying adult but the deal isn’t worth it at this garbage course. Worst course I have played in myrtle beach. Staff was horrible and very rude when we finished are round. Worst greens I’ve ever played on and huge disappoint to play. Save your money and go play mini golf!! This is a nice course. They use to have a free lunch but that is a thing of the past, It is further off from the Myrtle Beach area. There are some water features. You can drive into the sand hazards. If your in Pawleys Island or don't mind a short drive go enjoy this challenge. I am a primetime member and the Founders Club is by far the worst conditioned course I have ever played in Myrtle Beach. I drove all the way from Calabash, N.C. and what a big disappointment. They put us with a great cuple tbat had just moved there. Layout of this course was terrific. However, greens were just punched and fairways a bit rough. Got it for a deal though. Staff terrific and friendly. Great course. Beautiful course in fact. Greatest course I've ever seen. Other course, not so great. This one however is the best. Founders Club at Pawleys Island is a great track lovely; safe and fun layout to play in the afternoon as a replay round or in the morning with some good friends! Make sure to bring your flip flops cause it’s sandy out there!!! Really fun course. Premium on accuracy and very fast greens. Nice people and was once a nice golf course. The greens are in bad shape and the course is not maintained well. What do you expect for $50. I hope they turn it around. My husband had a terrible experience here. Good news is... he and his buddies got a full refund. BUT the greens were aerated with no warning, but even then, the course was not that nice. Considering this area is known for beautiful courses, it's a shame this one isn't better. If they knew the conditions of the course, they would not have played this course. Fun course. Lots of sand. Great layout with rarely seeing an adjacent hole. Great staff. Great looking golf course. Loved the layout. The greens were horrible. Suffered winter damage. Would play it again if and when they get the greens back. If we had known it ahead of time we would have picked a different course. Greens were the best of all 7 courses we played this week. Very consistent. Nice fairways. This will definitely become a regular. Course is in great shape. The Founders Club at Pawleys Island is one of the newest golf courses along the Grand Strand.